The Toyota FJ Cruiser is a retro style SUV with styling and off road performance reminiscent of the original Toyota FJ40 Land Cruisers. 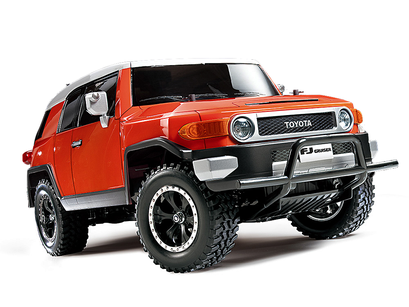 It was first introduced to the public as a concept car at the January 2003 North American International Auto Show. 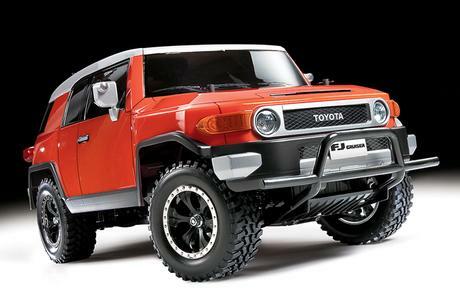 The FJ Cruiser was later approved for mass production after positive consumer response and it debuted at the 2005 North American International Auto Show in final production form. The Tamiya R/C replica faithfully captures all of the full size FJ's details down to the large headlights positioned near the center of the front of the car, chunky fenders, and a trio of windscreen wipers. 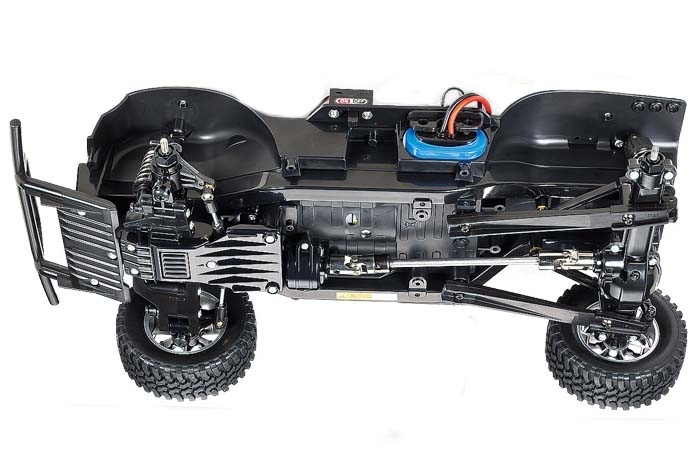 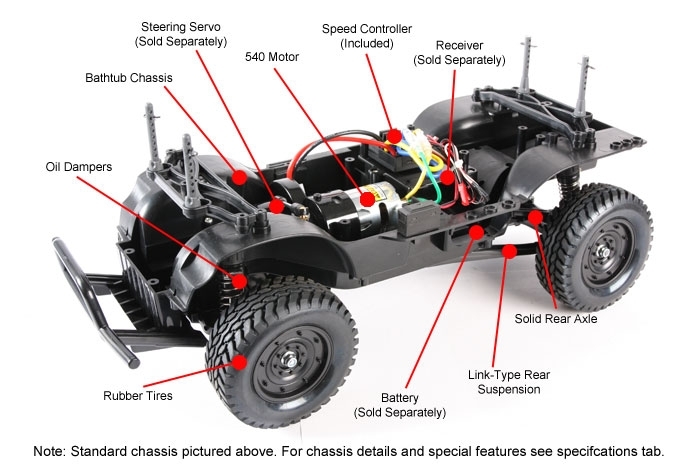 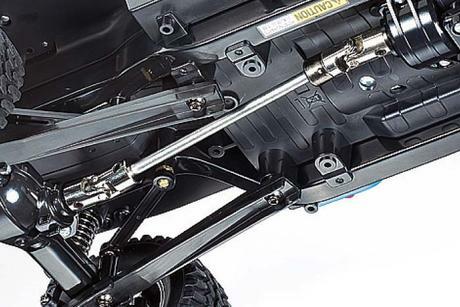 The FJ body is mounted on the capable CC-01 Cross Country chassis, which features independent front suspension and a rear 4-link rigid suspension set up for fun scale trail running enjoyment. 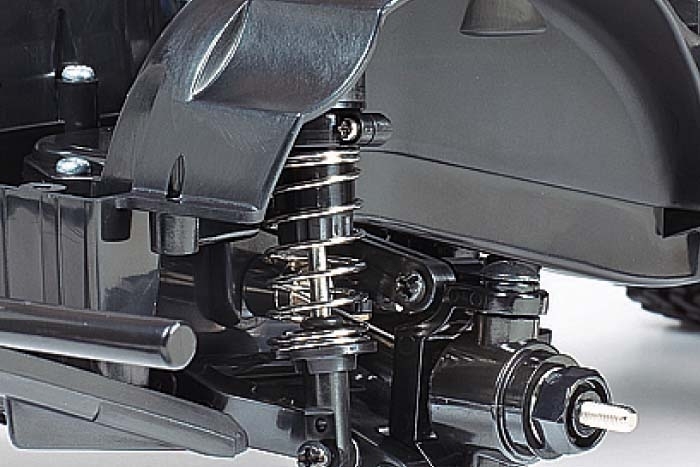 CC-01 chassis features a full-time 4WD system and front double wishbone, rear 4-link rigid suspension equipped with 4 CVA oil dampers. 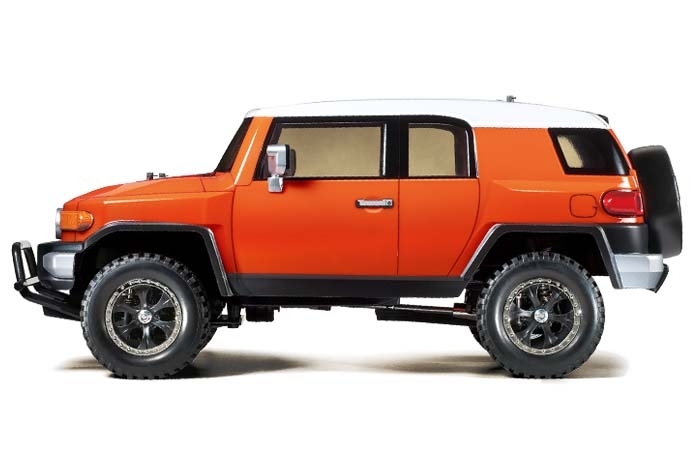 Separate parts are included to recreate side mirrors, grille, light cases and spare tire cover. 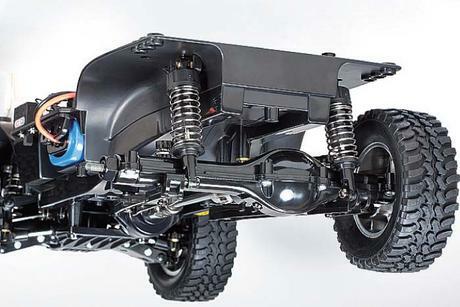 Special Feature 1 Separate parts are included to recreate side mirrors, grille, light cases and spare tire cover.